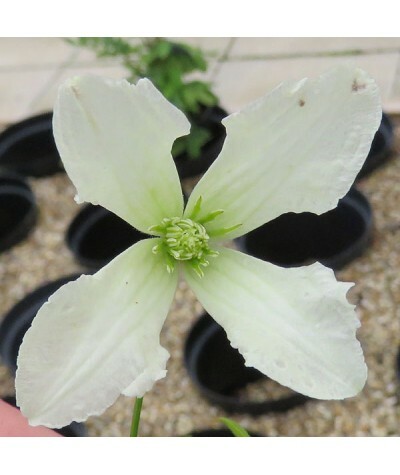 Open, bell-shaped white flowers with green tips produced above grey-green leaves from July to September. Vigorous growth to around 3.5m. 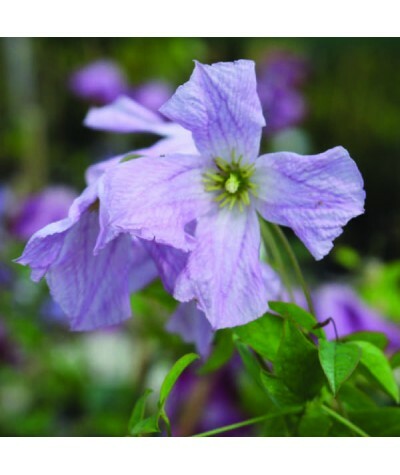 Ideal for scrambling through trees, shrubs, climbing roses o..
Large, deepest purple blue with yellow anthers. Prune February/March. 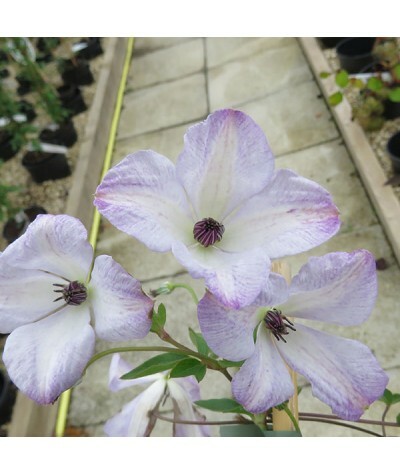 Very vigorous Height 4m Spread 3m ..
A stunning vigoruous clematis that bares palest blue flushed white flowers amongst dense lush green foliage.Flowers from July to September. 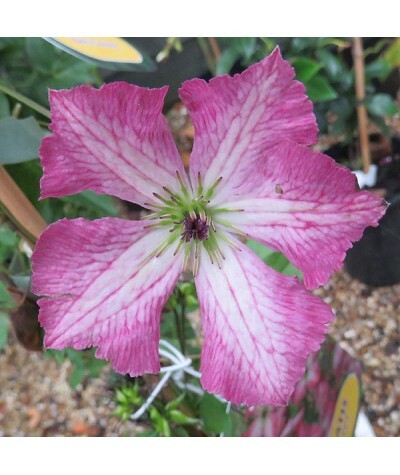 Can be grown in full sun or partial shade in any well dra..
Soft pink flowers with paler bars in the centre of the petals. Masses of flowers from July to September. Good or scrambling through shrubs, small trees or on walls, fences etc. A very hardy good al.. 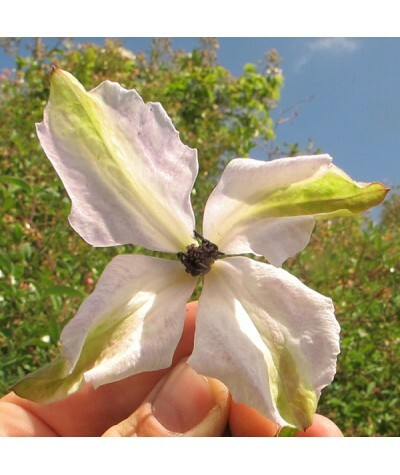 Crisp white nodding flowers are prodcued on mass from July to September. Good for scrambling through shrubs, small trees or on walls, fences etc. 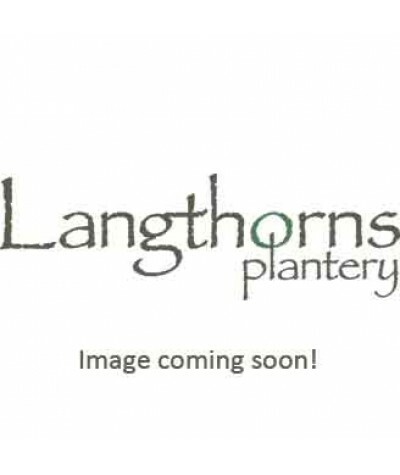 A very hardy good all round variety with a heig..
New in 2017. Gorgeous bright pink flowers with white centered tepals are produced throughout the Summer months. Good for scrambling through shrubs, small trees or on walls, fences etc. A very hardy..
New in 2017. 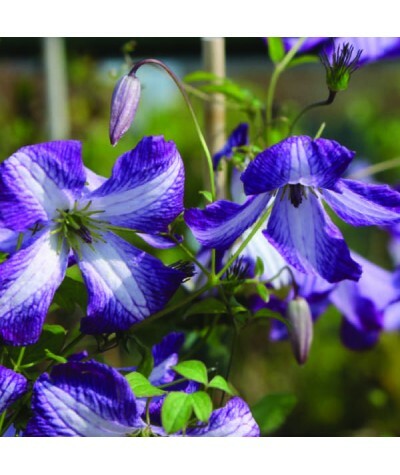 Sumptuous purple flowers with white centered tepals are produced all Summer long. Good for scrambling through shrubs, small trees or on walls, fences etc. A very hardy good all round v.. 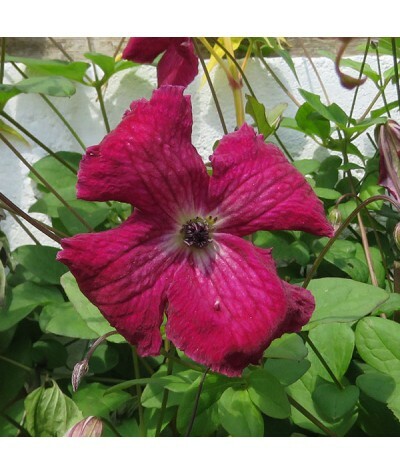 This free flowering clematis produces masses of single, crimson flowers with paler centres that radiate up the petals. Flowers from July through the summer. Any free draining, good garden soi..